The components of the diet of a horse that participates in horse racing are of paramount significance. The following are the essential components. Horses are uniquely programmed by biology to digest large quantities of fiber, with a hindgut that houses vast numbers of bacteria and protozoa. 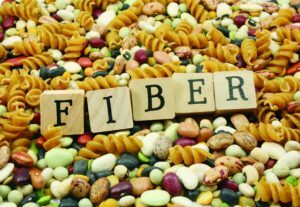 Fiber is especially important because it does not get used up quickly and provides energy throughout the day. A healthy gut is a healthy horse so foods rich in fiber such as clean grass hay and alfalfa hay should form a big part of a race horse’s diet. A more modern alternative is highly digestible fiber is beet pulp made from sugar beets after all the sugar has been removed from it. Starch from cereals like corn, oats, and barley is also very important. However, starch feeds should be monitored to see if the horse is showing any signs of discomfort. The horse has a relatively small stomach and sometimes, undigested grains can slip into te small intestine. Here it can alter the pH balance of the hindgut, resulting in acidosis. Horses then become anorexic, have increased colic and may exhibit behaviors such as weaving and chewing on wood. A good rule of thumb would be not to feed more than 2.2 kgs of grain at a single meal. Although fat is not a natural part of a horse’s diet, they are able to easily digest vegetable fats, even up to 90% of it. This makes it a very safe and easy to manage component of their diet. research has shown that horses who regularly get fat in their diet race better even when the sources of protein or fiber are reduced. Any protein that is not being used to build up the skeletal system of a race horse, can become a source of energy fuel. The amino acids can be extracted by their liver and the nitrogen is easily expelled as ammonia. However, over-feeding of proteins means the water intake of the animal has to increase and also it may lead to a greater urea content in the blood.